Hot, spicy, colourful curries bring a touch of exotic character to our kitchen and bring out the flavours of dull dishes. Often we don’t know what curry really is and we prefer buying powder or read-made paste from the supermarket, but it's very easy to make your own curry. Here's how! There is a spice called curry, which is acutally a small leaf found in India and included in the preparation of what we call curry. - Curry is always yellow. False! Depending on the spices chosen, it can be green, red, yellow or orange. - Curry, cari and masala are one and the same thing. True and false. In our current language, these names generally designate a mix of spices. But in reality, curry (or cari) is a dish made with a mix of spices, while masala means ‘mix’ in India. - Curry is an Indian dish. False! 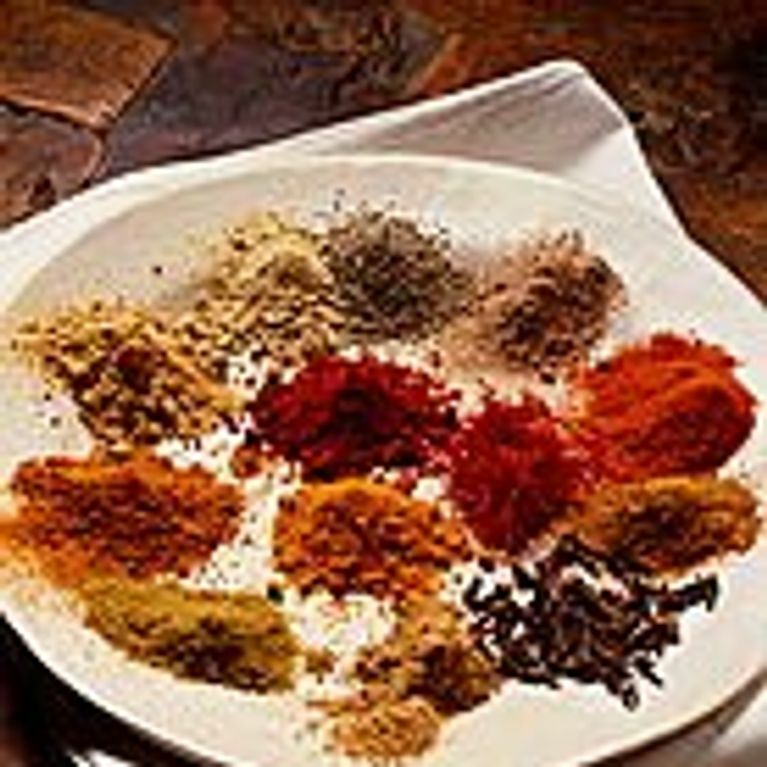 Of course, a lot of spices are used in India, but this is true throughout the whole of Asia. You also find Thai, Japanese, Afghan, Indonesian and Caribbean curries. These differ slightly. Curry powder only contains ground spices, whereas curry paste contains condiments and mixed herbs, and is generalyl more fragrant (however, you can’t keep it for as long as you can curry powder). How do you make your own curry? It's advisable to use an electric coffee grinder, herb chopper or pestle and mortar to get an even mix of fine curry powder. To make curry paste, use a blender. A third of your mixture should be liquid so that the blades turn correctly. Use water, oil or coconut milk.Keep curry paste in a clean glass container in the fridge for up to several weeks. These lists are not exhaustive and every chef conjures up their own. ½ a teaspoon ground coriander, 1 teaspoon cumin powder, 2 teaspoons anchovy paste, 6 green chillies, 3 cloves of garlic, 1 onion, 3 stems of lemongrass, 4 cm root ginger, 1 handful of fresh coriander, the zest and juice of a lime, 2 tablespoons vegetable oil (neutral), salt and pepper. Prepare the chilli: top and tail, open them and remove the seeds. Cut them in big pieces and blend. Add the rest of the ingredients and blend. Excellent with fish and also widely used with chicken. 1 stem of lemongrass, 4 yellow chillies, 4 shallots, 1 good piece of root ginger, 6 cloves of garlic, 2 teaspoons ground coriander, 2 teaspoons mustard, ½ teaspoon ground cinnamon, 6 tablespoons anchoiade, 2 tablespoons sugar, the zest of 4 limes, the juice of 1 lime, coconut milk. 8 dried red chillies, 2 shallots, 5 cloves of garlic, 2.5 cm of root ginger, 2 stems of lemongrass, zest of 1 lime, the stems of a bouquet of fresh coriander, 1 teaspoon opeppercorns, 1 tablespoon coriander seeds, 1 teaspoon grilled cumin, 1 teaspoon anchovy paste, 1 teaspoon salt. Mix the pepper, coriander seeds and cumin and set aside. Mix the chilli and the salt, add the ginger, zest, lemongrass, shallots and fresh coriander. Add the cumin powder then the anchovy paste. Mix until you obtain a paste. Used with chicken, duck, beef, pork and prawns. Adapt according to your personal tastes (what spices you prefer, how hot you like it, whether you add lemon, coconut, etc).